Global healthcare needs change and Ai represents the biggest change of all. Improve the accuracy of decision-making systems in identifying treatment options in the regular and emergency setting. 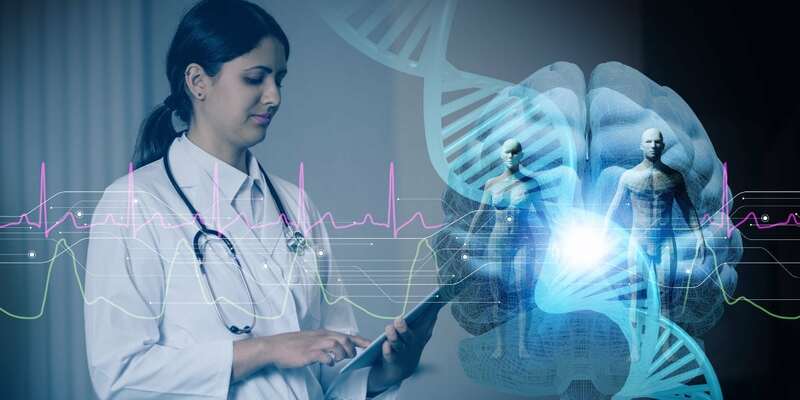 Accelerate diagnosis times for rare and hard-to-diagnose conditions such as cancers, Alzheimer's, multiple sclerosis and other rare disorders. Increase the alternatives in treatment choices when the primary alternatives may not work in real time. Customise healthcare to a segment of one, making the holy grail of individualised medicine a real possibility. Exponentially increase the efficiency of physician-based repetitive tasks. Data mine patient treatment and health records across geographical boundaries to develop accurate treatment plans. Significantly improve patient compliance and self-management with their treatments.